Wow! Those statistics are telling. 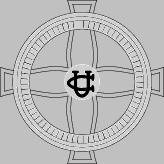 I wondered why as a unreconstructed Universalist I felt out of place.The Theological School at St. Lawrence closed shortly after I left and all these years I thought it was because of me. Are you going back to the Fredonia connection? Jim, after the UUA ran out of money (after running through the money) - they had to cut somewhere - so they closed the historic universalist seminaries and kept the historic unitarian seminaries. Freedonia instead of Railroad Bill? Sure, at some point!